The Prime Minister was addressing a meeting after opening the new three storeyed building of the Niyagama Divisional Secretariat in Galle on February 9. The Prime Minister said the government also freed media institutions from the fear psychosis they had entertained. The majority in Parliament has proved that the government could not be vested in a minority group in Parliament. The Prime Minister recalled that in 1994 when Chandrika Bandaranaike Kumaratunga commanded the majority in Parliament with just one member he honourably resigned from the post of Prime Minister. After the 2004 general election too they accepted defeat and resigned from office. According to the present Constitution a General Election could be called only if a two third majority of members in Parliament agreed.This was also agreed by the Supreme Court during the recent political crisis. The Supreme Court had earned prestige by giving this ruling. The Prime Minister said the Supreme Court had given judgments both in favour and against them. But they had honoured those judgments. No one should sling mud at Judges personally. If anyone had any allegation against a Judge they could bring in an impeachment motion in Parliament. He said the Constitutional Council concept was borrowed from the United States which set up such a council 200 years ago saying the President could not be entrusted with all the powers in appointing Judges and High State officials. Countries in Europe as well as certain Asian Countries followed this tradition. Except for the Prime Minister’s and Opposition Leaders parties other parties had one member each serving in it. There is also a representative of the President who can be an MP or not. Another three persons acceptable to society who are not MPs are also included.These three persons had never worked for the UNP. Now the UNP had two members, the UPFA had two members, the JUVP had one member and it had to appoint one more member. Three others are independent people. The Constitutional Council could appoint members for certain commissions while members to certain other institutions had to be chosen from a list of names sent by the President.The Supreme Court is a supreme institution and members of the Supreme Court could not be criticised in public. If Judges of the Supreme Court are criticised in public they had no means to respond to such criticism. The Prime Minister said; “we will protect the independence of these independent institutions. If any one tried to attack these free institutions by using Parliament as a forum we will act against such criticism”.The Prime Minister said he was due to open the newly built Niyagama Divisional Secretariat building on October 27 last year. 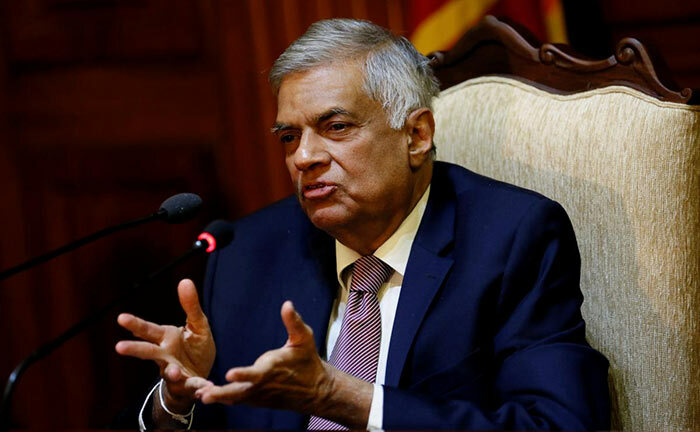 But it had to be postponed due to the political conspiracy staged on October 26 last year.The Prime Minister said he was thankful to Minister Vajira Abeywardene for equipping a large number of divisional secretariat offices with new buildings. The 19th Amendment has some good points about stregthning democracy. However, it does not fit well with the rest of the Constitution as it has many contradictions with provsions elsewhere. Why are the major political parties silent on the proposed 20th Amendment? The incumbent President has shamed his office. He will go down in history as the most under performing President in our history. He has destoryed and continues to destroy the dignity of the Presidency which had been meticulously built over the years.